Happy Monday everyone! I hope that you all had a great Labor Day weekend and got to do something fun. Travis and I spend pretty much the entire weekend painting our living room and part of our entry way but still have a lot left to paint. We picked up enough paint that we’ll soon be doing the kitchen, hall and the rest of the entry way and I’m excited as it’s only taken us four years! But we finished the weekend with a nice BBQ with some family and that always makes it worth it. Now we are ready to start school today- I dropped Zach off for his first day of middle school this morning! I’m excited, as is Zach and I can’t wait to hear about his first day when he gets home and we relax with a snack. Speaking of snacks, as a mom of three, I’m always looking for fun snack recipes. 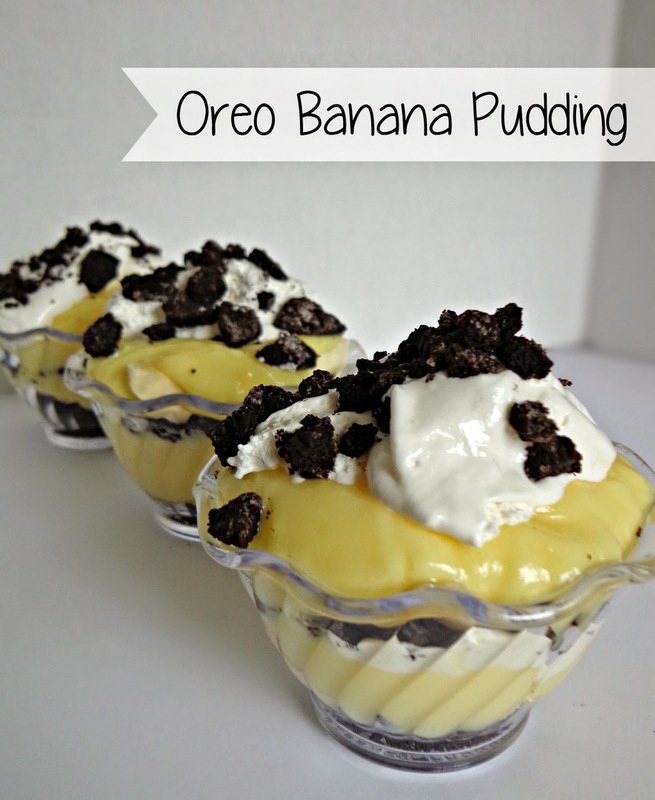 And boy, did I hit the nail on the head with this delicious Oreo banana pudding. 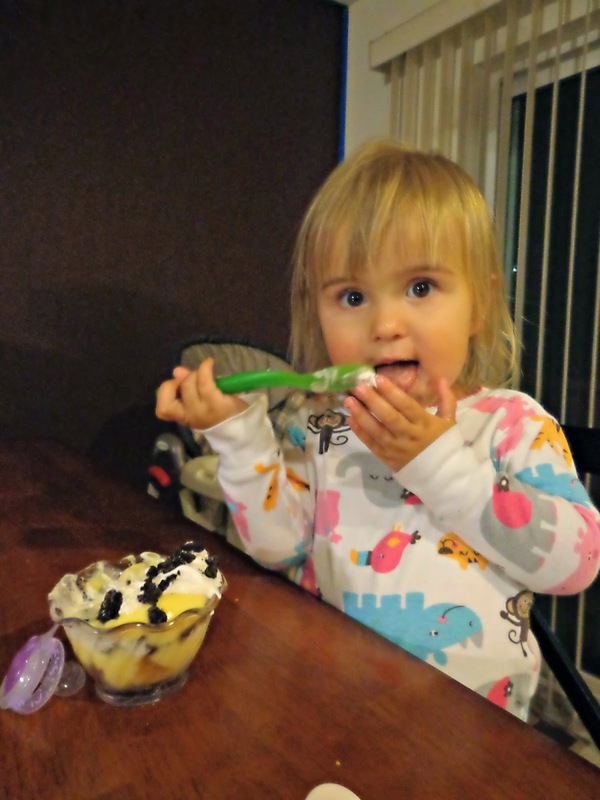 Kids desserts and quick and easy snacks are important in my house. I feel like someone is always saying, “I’m hungry” and having something that my kids like, and I’m okay with feeding them is a big deal. 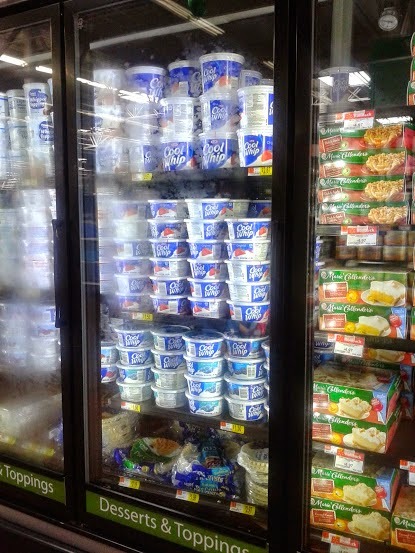 And come on, look at the picture below, who could pass up Cool Whip? Luckily when I head to Walmart they have everything that I need. 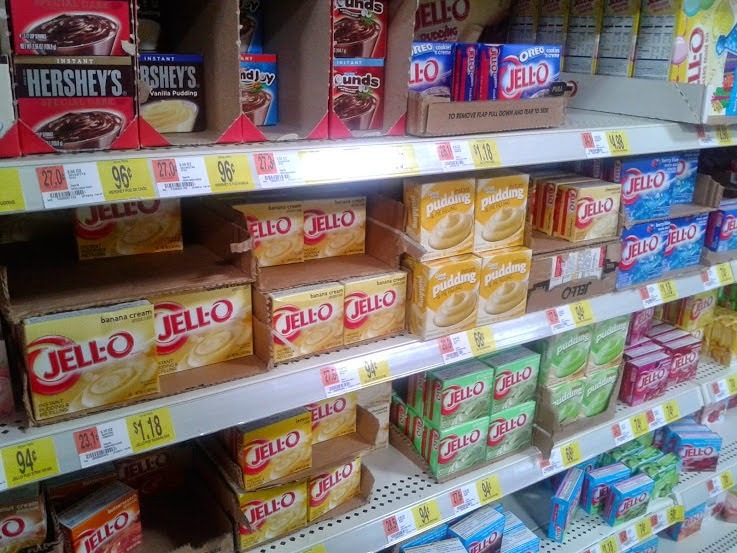 I can find the Cool Whip in one aisle and pudding in the next along with a few other ingredients and then we are ready to head home and make our after dinner treat. Nice and simple after school snacks, or before bed snacks are my favorite. Next layer on sliced bananas, pudding and cool whip. Enjoy! I know my kiddos sure loved this yummy snack! Just look at Summer! I think she likes it. What do you think of this quick and easy snack? My kids thought it was delicious, as did I! I made a little bowl for myself and Travis, minus the cookies and it was pretty great. A easy after school snack is the way to go to hold your kids over until dinner. What are some of your favorite after school snacks? Yum, this looks delicious! I bet those oreos on really top it off! Oh delicious!!!! This looks amazing!